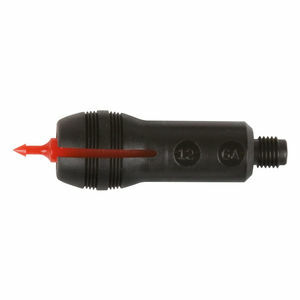 Multi-Choke Nylon Jags offer an efficient way of cleaning bore and choke. Because the petal design compresses when bore cleaning, the patch is continually putting equal pressure on the bore for a better cleaning job. This allows the dirty patch to compress and pass thru a full choke and out the muzzle instead of back into the chamber. The barbet tid secures the patch while cleaning. The #5/16-27 thread will fit all KleenBore shotgun rods.